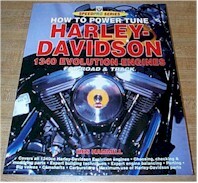 Softbound book covers all 1340cc Evolution engines. Author Des Hammil explains how to optimize your engine for maximum performance and reliability. Over 120 photos and illustrations.